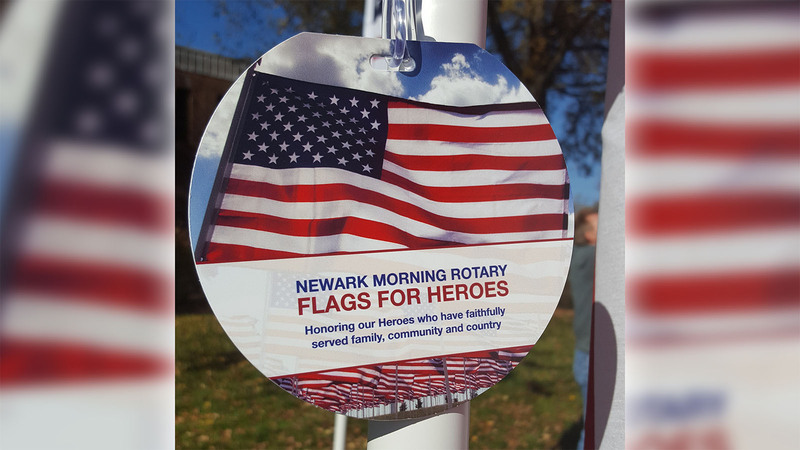 Flags for Heroes (FFH) is a project sponsored by the Newark Morning Rotary club to honor the heroes of community members. 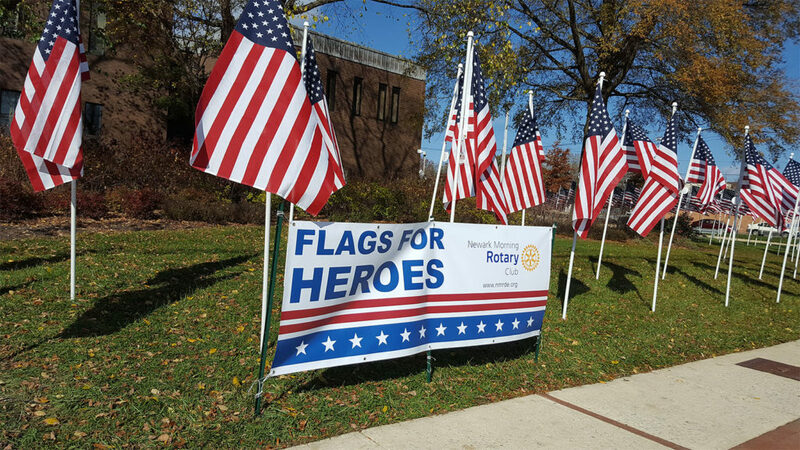 Over Veterans Day weekend, many area residents honor their personal hero (or heroes) by sponsoring a flag. 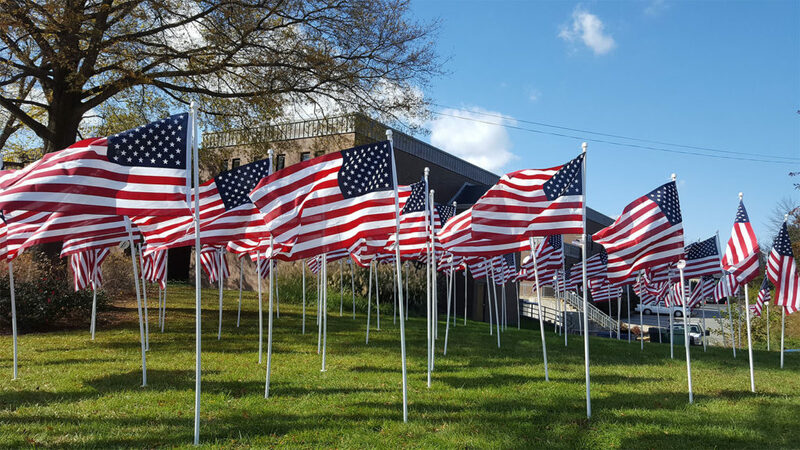 The field of hundreds of flags creates a moving and memorable display. 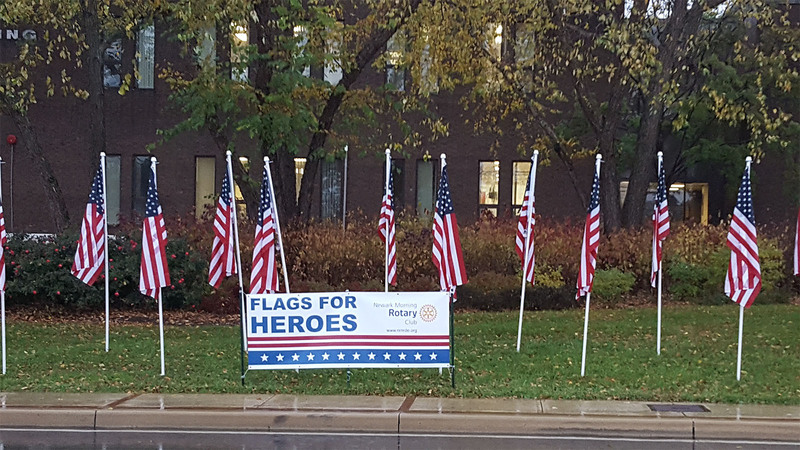 Flags are $50 each. 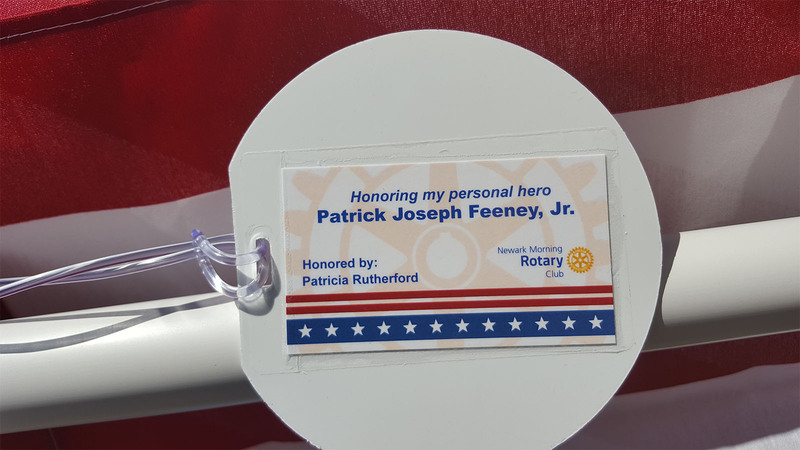 Please submit your information and payment via this form, or if you’d prefer to mail your payment, click here to download a printable form.